Now you can carry your traps and trapped animals safely, securely, and with much less effort. 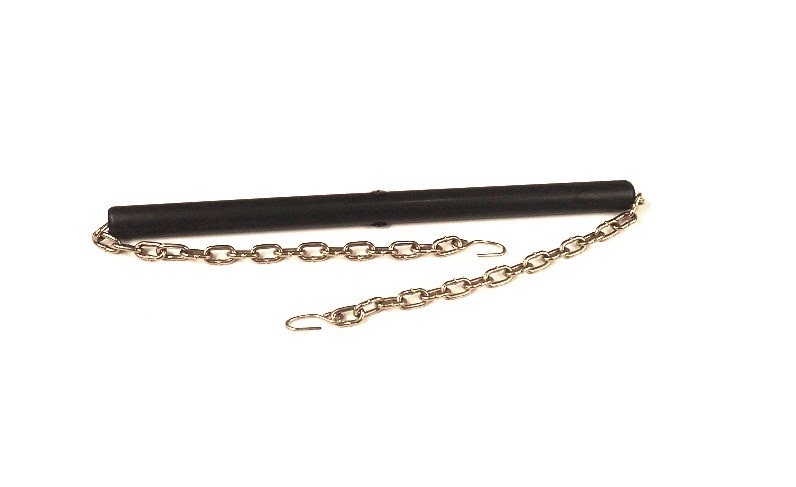 Our trap caddie is light and durable, fits all traps and cages from 18" - 36" in length and is constructed from heavy duty brass straight link chain. The specifically designed cage hooks attach to the trap with ease, no tools are necessary. The Trap Caddie evenly distributes the captured animals weight for easy carrying. The comfort handle reduces wrist fatigue and stress. Trap Caddie also allows you to carry trapped animals with your hands completely away from the animals reach. Fits all traps and cages from 18" to 26" in length. C1012 With Trap Caddie, you can carry your traps and trapped animals safely, securely, and with much less effort.